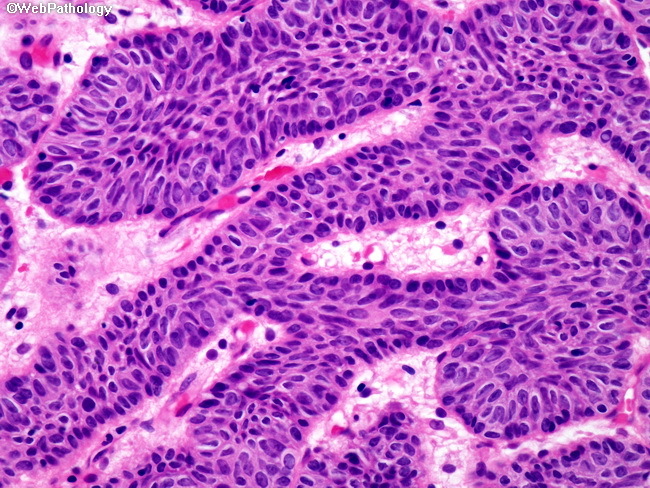 Classic histologic pattern of an inverted papilloma with anastomosing nests and cords of cells proliferating in the lamina propria. There is some hint of palisading at the periphery of the nests. There is no cytologic atypia. Mitotic activity is not increased.